Quick list – everything on one page! The 2020 course is now TAKING BOOKINGS! We are now taking bookings for 2020 training, starting in January 2020. Take your yoga studies to the next level? Train with a yoga school that is part of powerful lineage of yogic masters? Experience and share the transformational teachings and benefits of yoga? Our teacher training is modelled on the ancient system of Gurukula. Over the course of a year students spend a 9 weekends and one 5 day retreat in May (Friday evening through to Sunday afternoon) living and studying with their teachers and fellow students in an ashram environment. This enables total immersion in yogic life and practices allowing students to truly experience personal transformation and embodiment of the teachings. The course provides a comprehensive, foundational training in yoga practice, theory and teaching skills. 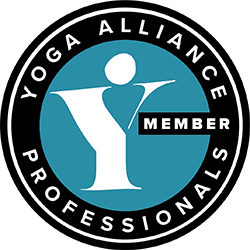 We strive to facilitate the unfolding of well educated, compassionate, competent, yoga teachers of integrity who meet standards of excellence (all graduates are eligible to register at RYT 200 with Yoga Alliance). Our training school has met the stringent requirements set by Yoga Alliance UK, demonstrating that our courses are of the highest standard and that our graduates may use the title ‘Registered Yoga Teacher’ RYT as a sign of quality training. When I found Universal Yoga’s TTC, I had been looking for a teacher training course for some time. I knew I wanted a course that offered a well-rounded training program that went just that little bit further than many “fast track” courses that I had also considered. Speaking to Charlotta and Naomi and getting a feel for the syllabus, I knew that I had found what I was looking for. With the Universal Yoga 200h training, I have been able to progress on my own path in yoga in a wonderful way and integrate this in to every aspect of my daily life. I know this will help me to be a good teacher and facilitate others on their exciting transformational road in yoga. There are so many options for yoga teacher training but I have no doubt that this was the right one for me. Yoga teacher training is such a huge journey and the support and guidance I have received from Charlotta and Naomi has been so much more than I would ever have imagined. They are ensuring that the training they deliver gives students the skills to be not only knowledgeable, compassionate and ethical yoga teachers but also more self aware and peaceful human beings! I would not hesitate to recommend Universal Yoga’s teacher training. I think it has been one of the most positive life changing experiences I’ve ever had. Charlotta and Naomi both bring a wealth of experience, understanding, knowledge and nurturing to their teaching. You will be totally supported during the experience ( and extremely well fed). This will help you to develop your teaching at your own pace and in your own unique way. It will also help you to offer that care and support to your students. If you are hesitating about signing up don’t worry, it will be one of the best decisions you’ve ever made. Teacher Training 2020 will start in January 2020 and will run up until November 2020. Dates of commitment are TBC. This event will take place at Dunkerton Parish Hall, Dunkerton, The Hollow, BA2 8BG. She has taught yoga for over ten years and practised for over 15 years, mostly in the Sivananda tradition. Further training includes studies with the father of structural yoga therapy Mukunda Styles and the leader in the field of yoga for mental health, Dr Krishnamurti from Bangalore University. 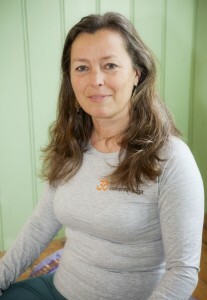 In 2008 Charlotta founded the Universal Yoga centre and community in Somerset which she has been nurturing and growing ever since. She also works within the NHS as a yoga therapist, runs the unique, YA accredited Teen Yoga training internationally and collaborates with Leeds University to measure outcomes of Mindfulness and Yoga on teens. 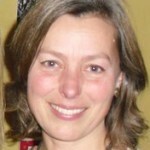 Charlotta is a regular contributor to Om magazine and regional BBC networks. Rebekah started practising Yoga more than 17 years ago. A profound and transformative experience of Yoga through some of life’s more challenging times led her to complete her teacher training in 2009 and advanced teacher training in 2012 both with the Sivananda tradition. Rebekah is also a trained kids, family and Teen Yoga teacher, and has studied gentle and restorative Yoga teaching with Integral Yoga. Whilst being rooted in the Sivananda tradition and the philosophy of Advaita Vedanta, Rebekah enjoys exploring and experiencing the gifts that all other traditions also bring such as Kundalini and Ashtanga Yoga. Over the past 6 years Rebekah has taught Yoga extensively to a variety of groups in a variety of settings including general adult classes, teen and kids classes in schools, Special Yoga on a 1-1 basis and with groups and hugely popular Family Yoga. Rebekah has previously taught on the YA accredited Teen Yoga training and currently teaches on the Universal Yoga Teacher Training Programme. As a Yoga teacher she works intuitively aiming to allow people to unlock their inner potential through a deep meditative practice, which allows one to enter into a place of stillness and knowing. Rebekah is also an experienced FE teacher (PGCE) with 18 years’ experience of teaching drama and dance to adults with learning disabilities. 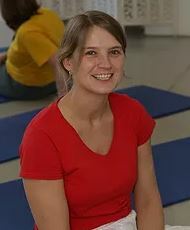 Emma was senior staff with the Sivananda organisation for nearly 14 years and is one of the most experienced Sivananda yoga teachers teaching outside the organisation in the UK today. She has attained the highest levels of yoga teaching certification and has in-depth training in all aspects of yoga practise and philosophy. She has taught Sivananda teacher training courses in Europe and India. Her love is living and spreading the art of well-being and positive living. Investment: Early bird £3600 until 30th July 2019 to include all training, shared accommodation and home-cooked vegetarian meals throughout the course (price £3900 thereafter). An initial sum is payable at time of booking – please note this in non-returnable, the balance to be paid in monthly instalments or in a lump sum. £3900 after early bird offer. Please be aware that this course DOES NOT ENABLE YOU to go on to take the ATTC or Sadhana Intensive in Sivananda organisations around the world. Please note: This course does not enable you to take the ATTC but it does qualify you to take the ATTC and Sadhana Intensive with Yoga Vidya Peetham in Kerala, India and also with Emma Brown in Spain. 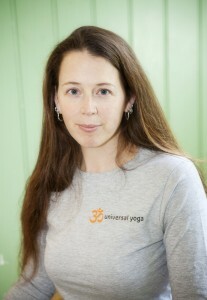 Universal Yoga, Redhill House, Red Hill, Camerton, Bath, UK, BA2 0NY.